Features: Our climbing rope made of high strength polyester yarn, strong, durable. it could bear different kinds of friction with branches, rocks. 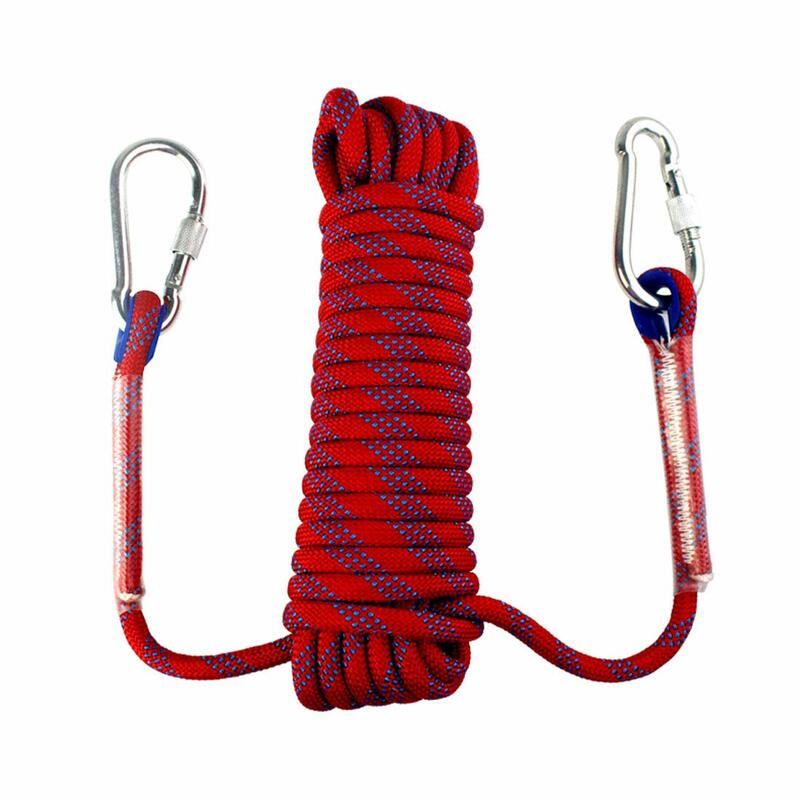 The professional climbing rope ends are sewn together, shrink wrapped, and protected by hard plastic. It is safe and of high tensile strength to be a climbing equipment Due to its all high tenacity polyester material, it is quick drying and soft . which is adaptor to wild environment. Not easy to dirty,The two ends of the rope are the sewing process,more durable.